When Philip Hennessey is thrown out of army intelligence after evidence is fabricated against him, his ex-wife’s school friend asks him to investigate the sudden death of her father, who she thinks has been murdered. Philip soon discovers a far larger problem: a lethal trade in the manufacture and distribution of counterfeit drugs. Using his contacts within the intelligence agencies, he follows the trail across the world, chasing counterfeit vaccines that could kill thousands. Pitted against an international conspiracy, can Philip prevent the fake medicines from getting through, and who can he really trust? Now when this story begins a lot seems to happen all at once with three very different story lines shooting out of the chapters in very quick succession. Then before you know it things begin to click together and a very powerful, intriguing and jaw dropping story begins to emerge. Oh boy I think that it is the first time that I actually went to my meds and read the info about them! Thing is I think most people are like me. We just trust certain people in society without question. We don’t have a choice most of the time because we simply don’t have the knowledge. What begins as a promise made in Afghanistan to a distraught mother tangles up with a promise made to a daughter, to look into her father’s untimely death in a UK hospital. All made possible because Philip Hennessey had been set up and discharged from his role as an army intelligence officer. Oh my this is such a gripping story line and as I am reading I am thinking bloody hell could this happen? Does this happen, may be not here but else where? It got me where I didn’t know who were the good guys and who were scum bags. This book was definitely audio because I never shut up, talking to Hennessey, cursing at decisions and hopelessly giving useless advice. Damn national health cut backs! A super thriller with a pretty unique story line, set in some unusual globe-trotting locations with a tense and very satisfying ending. Hope to see Hennessey back in future novels. After graduating from Fitzwilliam College, Cambridge, Andrew spent a couple of years attempting to break into the film industry (including an unenviable job as Michael Winner’s assistant). When not working in films, he started up a building business and carried out work both in the UK and later in the South of France. On returning to the UK, he established a company to manufacture a range of public transport seating, which won the 1980 Design Council Award. Eventually the seating was installed in bus stations and shelters throughout the country with licensees in Japan and the USA. Over the next twenty years the company diversified into the manufacture of architectural glazing and by the time it was sold, it had a workforce of some 60 people. Andrew then concentrated on his main interests: sailing and writing. With his wife he explored the Mediterranean extensively in their catamaran, moving on to the Red Sea, East Africa and the Far East, returning to the Caribbean and the USA. He has written frequently about his travels for all the main yachting magazines. He also wrote and published an Introduction to the Canal du Midi, which was the inspiration for Rick Steins’ TV series. His first novel, Caesar’s Passage, was short-listed for the Authors’ Club Best First Novel award. 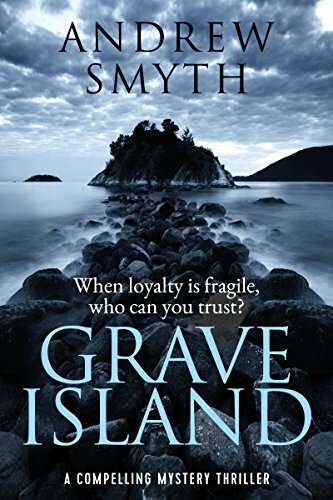 This is his second novel, a thriller called Grave Island. Andrew is married with two adult children.